Hancrafted by our Amish artisans of solid hardwood, the Palmina Panel Bed exemplifies the beauty and simplicity of classic Mission styling. 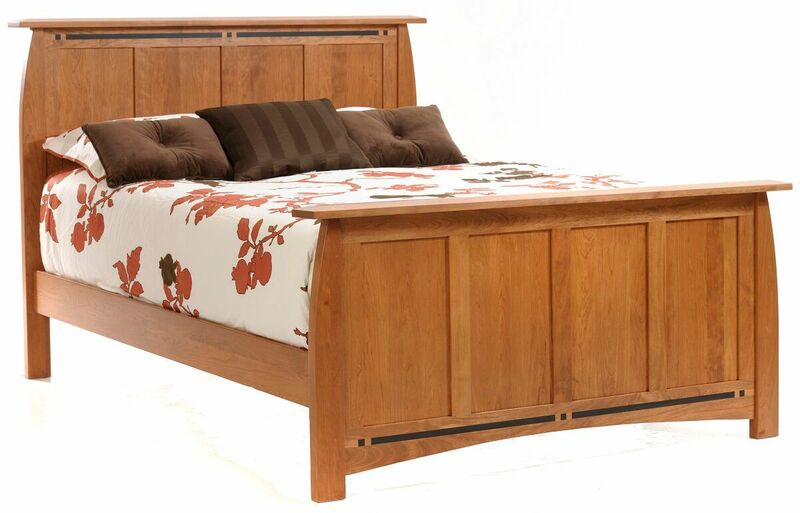 Uniform paneling adorns the head and foot of the Palmina Panel Bed while ebony inlays add sophistication. A simple curve embraces the full, queen, king, or california king-size bed frame and adds a quaint characteristic to the piece. King and Queen sized beds include an additional hardwood leg at the center of the middle slat for extra mattress support. Make your wood species and stain selections using the options menu before adding the panel bed to the online shopping cart.